Noise plays a critical role in creating the right atmosphere, which means there aren’t many places where the impact of noise is more obvious than while eating out. If you’ve gone through the trouble of selecting menus, ingredients and great cooks, it’s a good idea to pay attention to restaurant sound proofing, as well. After all, excessive noise is one of the biggest complaints people have about most restaurants. It causes people to eat faster and leave sooner. It also makes it less likely that they’ll recommend the restaurant to friends and family. Many people report changing their dining habits to avoid noisy restaurants. People may stay away from restaurants during busy times, while other customers avoid noisy restaurants altogether, opting for delivery instead. People who do go to noisy restaurants tend to eat more quickly and depart faster. While this can help turn tables over during a busy lunch rush, it can lose revenue during dinners and at bars. These diners tend to spend less and not return. Bottom line: If excessive noise is a problem in your restaurant, soundproofing solutions can be a good investment. What’s to Blame for Loud Restaurants? The increased noise in restaurants comes from a variety of causes. Restaurant design itself plays a role. Industrial and modern aesthetics, increasingly popular in restaurants, tend to rely on minimalist appearances and hard surfaces that reflect sounds. Music in the dining room and diners speaking louder to make themselves heard both play a role, increasing sound levels. So how loud are most restaurants? Well, food critic Tom Sietsema noted that during busy times, many restaurants had noise ratings of at least 90 decibels. The noise was such a problem that he began adding noise ratings to his restaurant reviews. Another food critic, Cara Buckley, recorded decibel levels of 94 to 102 at a variety of New York restaurants. That’s equivalent to trying to eat while there’s a motorcycle 25 feet away. So it’s no surprise that many diners think restaurants have gotten too noisy. In fact, diners rate noise as the second-biggest problem when it comes to eating out. On the list of diners’ biggest complaints, it comes right after customer service (number 1) and before bad food (number 3). A good acoustic experience is key to creating a memorable restaurant ambience. So how do you fix the problem of noisy restaurants? Creating a positive acoustic experience in a restaurant depends on several elements. Here’s what you need to know. Noise: When we talk about noise, we’re usually talking about unpleasant or discordant noises. These are sounds that don’t belong in the space. Noises that carry from a noisy kitchen or nearby traffic fall into this category. Echoes that make it difficult to understand each other, or conversations that carry too far, also fall into this category. Ambience: The right sounds can also add to the ambience of a restaurant. Studies show that soft background music can actually help diners enjoy their meal more, for example, and quiet background conversation can help to foster your customers’ enjoyment. That’s why acoustic design in restaurants focuses on eliminating unpleasant noises, while helping pleasant ones carry. Sound Proofing: This is the use of materials and designs to trap noise in an area. Walls and doors are the most common areas to soundproof. Consider soundproofing strategies for kitchen doors and workstation areas. These materials are usually installed during construction. Because sound proofing traps noise, consider using it to create a buffer between loud zones and quiet ones. For instance, sound proofing will prevent the noise in the kitchen from disturbing diners. Soundproofing the door between a noisy bar and a quiet dining room is another good investment. Sound Absorption: This is the process of selecting materials that help to absorb sound, preventing it from reverberating in a space. These materials can include partitions, hanging baffles and acoustic wall panels. Even carpet can help to absorb sound. Materials that absorb sound can help to prevent echoes in large dining rooms. They can also help keep noises from bar stations and hostess stands from reaching diners. 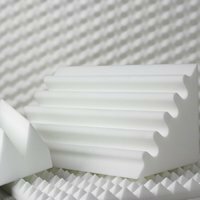 In general, soft material is better at absorbing sound than hard materials. If noise is interfering with your diners’ experience, wall hangings, carpets and fabric wrapped seating can all make a difference. If you’re designing and building a restaurant space, early in the design process is the perfect time to consider soundproofing. There is a number of materials and techniques that can help you reduce noise in restaurants, but the specific materials you choose will depend on the types of noise issues that you are experiencing. If you don’t need to mitigate an existing noise source, considering acoustic restaurant design ideas is still useful. A restaurant space with proper soundproofing and good acoustic experience will be more desirable than a space without it. That can mean faster leasing, lower turnover and higher rents. Soundproofing the wall between the dining room and bar. If the restaurant will include both a bar and a dining room, it’s a good idea to soundproof the connecting wall. This will prevent noise from leaking into the dining room. A soundproof wall between the bar and dining room will make it easier to fill tables placed near the bar. Installing a complete soundproofing system within the wall will be most effective against noise penetration. These systems usually use a combination of techniques. 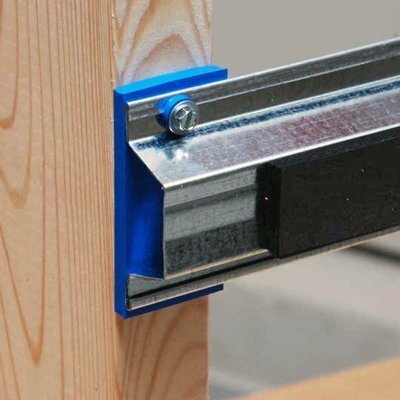 First, decoupling rails separate the drywall from the studs to reduce the amount of noise that will carry through the wall. Next, viscoelastic deadening pads are installed within the wall. These pads cut down on vibrations, preventing residual noise from carrying through the wall. Use acoustic flooring underlayment in the dining room. Restaurant floors, particularly in large dining rooms, are a major source of noise. Footsteps, chair legs and serving trays can all cause unpleasant noises that echo in a dining room. Because most restaurants use tile, stone or wood floors, you also won’t have the benefit of sound dampening that carpet provides. That’s why an acoustic flooring underlayment can make a big difference. 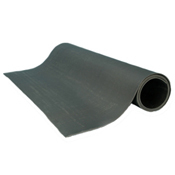 It consists of a rubberized membrane that’s rolled out across the floor before the tile, stone or wood is installed. Acoustic underlayment is particularly useful when the restaurant is in a multi-floor building. If the restaurant is on the first floor, install the underlayment on the floor of the story directly above it. If it’s on a second floor or higher, such as in a mall, install it within the restaurant to minimize noise from stores below. Adding mass loaded vinyl as a barrier between restaurant spaces. Mass loaded vinyl (MLV) is a sound barrier that can easily be added to walls before the drywall is installed. 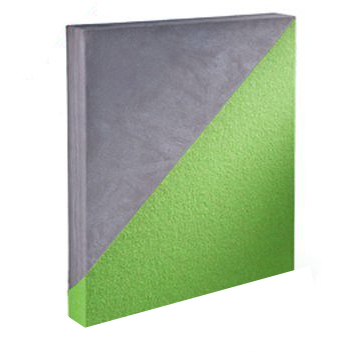 This material can be used independently or in conjunction with soundproofing insulation. In restaurants, it’s particularly useful in interior walls that may not be insulated. MLV or another soundproofing barrier will help to prevent noise from leaking between different spaces within a restaurant. This is a good choice for the interior wall between the kitchen and dining room. Soundproofing solutions between the kitchen and dining room will be particularly noticeable, because the kitchen is usually significantly noisier than the dining room. Consider a combination of a MLV barrier or acoustic insulation with soundproofing door kits for maximum effectiveness. If noise is a problem in your restaurant and renovation isn’t possible, there are still options. There is a wide variety of sound absorption materials that can be added without major construction. In many cases, just a few layout changes can also make a major difference for your customers’ acoustic experience. Use hanging baffles to minimize noise in large dining rooms. Restaurants with one large dining room often have some of the biggest problems with noise. That’s because sounds tend to echo in these big rooms. Sound-absorbing hanging baffles can dampen these echoes. Baffles are easy to install: they only require S-hooks and lengths of chain or wire. Hanging baffles don’t need to look industrial, either. 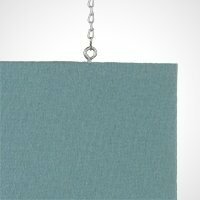 Sound-absorbing hanging baffles are available in a wide range of colorful acoustic fabrics. You can even have designs custom-printed. That means it’s easy to turn your restaurant ceiling into a work of art, while creating a dining experience that’s more appealing to your customers. Use acoustic or fabric-wrapped panels to cut down on noise in the dining room. 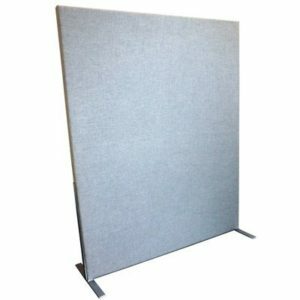 Acoustic panels are another option for cutting down on noise in a restaurant. 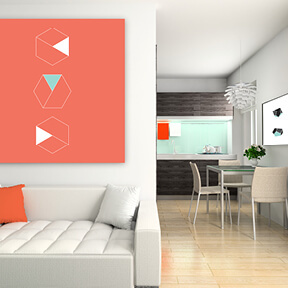 These panels can be added to almost any wall space to absorb noise. Installing an acoustic panel is also one of the easier ways to reduce noise in a dining room. In most cases, you can simply hang them using a Z bar wall mounting system. We know that creating a visually appealing dining room takes time and effort, and we don’t think that soundproofing should take away from the décor. That’s why custom-printed acoustic panels can be one of the best options for soundproofing in restaurants. 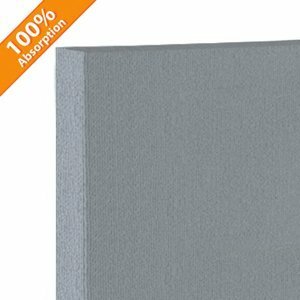 These acoustic panels have a foam, cotton or glass mineral wool core to absorb noise. We’ll work with you to determine what type of material will be most effective in your restaurant. Once you’ve chosen the material and size of the panels, we’ll print your requested image and apply it on top of the panel. Install a soundproof door between the kitchen and dining room. Installing a soundproof door will require minimal construction. It’s also one of the best investments you can make. A soundproof door will prevent noise from the kitchen from escaping into the dining room. Since kitchens are usually much louder than the dining room, this can have a big impact on your customers’ dining experience. If you’re choosing new doors, look for doors made of a solid material. Thicker doors are better at preventing sound from carrying. If possible, avoid doors with recessed panels, glass sections or hollow cores. These areas usually allow more sound through. Gaps around the kitchen doors are usually the biggest sound leak. Door sweeps, block sound from traveling underneath the door, and door seals address the perimeter of the door. Look for door sweeps and seals designed for soundproofing. Another option is to purchase a commercial door soundproofing kit, designed especially for noisy restaurant settings. These kits include soundproofing sweeps, seals, sealant and a panel or barrier material to cover the door. Place noisy soda machines away from the dining area. A few areas in restaurants are naturally louder than others. Soda machines and bar stations are usually at the top of the list. Ice machines are also particularly noisy. And because noise tends to spiral, the noise in these areas means nearby diners need to talk more loudly in order to be heard. If you’re considering layout changes to your restaurant, moving soda machines away from the rest of the dining room will pay off. Diners will be quieter when they don’t need to speak louder than the noise from the soda machine, which will have a big impact on noise in the restaurant. Use sound-absorbing partitions around noisy stations. Most restaurants have a few noisy stations. Point-of-sale machines and condiment stations are often two of the biggest culprits. If possible, reposition these areas away from the main dining room. If changing the layout of the dining room isn’t possible, you have other options. If these stations are used primarily by servers, consider adding an acoustic partition to separate them from the rest of the dining room. Even a single panel can help to absorb the noise in these areas. These partitions can also help to block POS areas from diners’ views, and reduce noise for your servers. Diners have a better experience when their meal isn’t interrupted by the noise of servers trying to enter orders and make change. More quiet means that servers are less likely to make mistakes when they’re able to concentrate on entering orders. Soundproofing a restaurant is not as difficult as it seems. 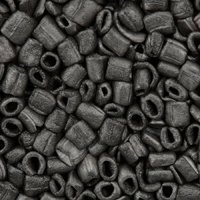 With some forethought, the right materials and perhaps a few layout changes, you can make a big difference for your customers’ acoustic experience. If you’d like more help getting started, take our free acoustic analysis. You’ll need to know the measurements of your restaurant, and what materials are on the floor, walls and ceiling. This can help give you an idea of where to start. Or, contact us directly for more help. How can Soundproofing improve your Restaurant? If this sounds familiar, you need a restaurant soundproofing solution…fast! Time and time again, we receive calls from restaurant owners referencing complaints like these. It’s only after they install our restaurant soundproofing materials do they realize the real impact poor sound quality had on their business. Did you know noise is the second most common complaint made by restaurant goers? * Right after service, sound quality is what your customers use to determine if they’ll be back or will recommend you to their friends. You’ve invested in a great menu, friendly servers, and a beautiful décor. All of it will be wasted if patrons avoid your business because your restaurant is too noisy to enjoy. How loud is it, really? Noise levels in restaurants without proper restaurant soundproofing materials averaged between that of city traffic (85 decibels) and power saws (109 decibels). Definitely not appetizing. During the dinner rush, it can be even worse. Some restaurants, particularly those with bars, registered sound levels as high as 10 decibels over the human tolerance level. 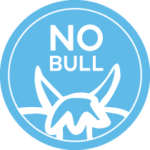 Noise levels become a problem when customers begin competing over each other to be heard. Your restaurant can no longer provide a private, intimate dining experience. And you lose business. You can’t blame the patrons. The physical layout of your restaurant and how sound travels through your space is to blame. The kitchen is an especially noisy place, and tables sitting near the kitchen or food-serving lanes can be the worst for your guests. What can proper Restaurant Soundproofing do for your business? Noise issues can be the make-you-or-break-you of your restaurant. Several cities have begun rating restaurants not just on food and service quality, but the noise volume as well. Good sound quality is essential to a healthy restaurant business. Restaurant Soundproofing and Sound Absorption: What's the difference? Restaurant Sound Absorption Products soak up sound. They absorb sound waves and prevent them from bouncing back off the walls. Most restaurants have echo problems. Sound bounces off walls, ceilings and floors. This makes unwanted background noise and muffles voices. Sound absorption products help to make individual voices clear. By reducing the sound that is echoed off the walls, there is less background noise. And diners are able to hear the other people at their table. Restaurant Soundproofing Products trap the sound. They contain the sound in one location, making it impossible for the sound to move from one space to another. Kitchens need restaurant soundproofing materials to stop their noise from entering the dining room. 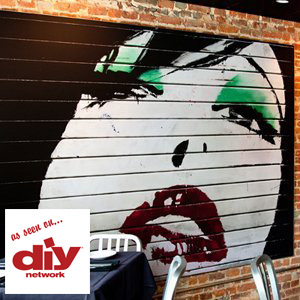 Bars need restaurant soundproofing materials to trap the noise and not let it enter other areas of the restaurant. Overall, restaurant soundproofing materials keep the noise contained in the space it should be. Often, restaurant soundproofing problems need both types of products. Especially if your business is in a residential part of town or you host live bands and large crowds. The soundproofing materials keep the sound inside the space you want. And the sound absorption products on the interior walls improve sound quality and performance.